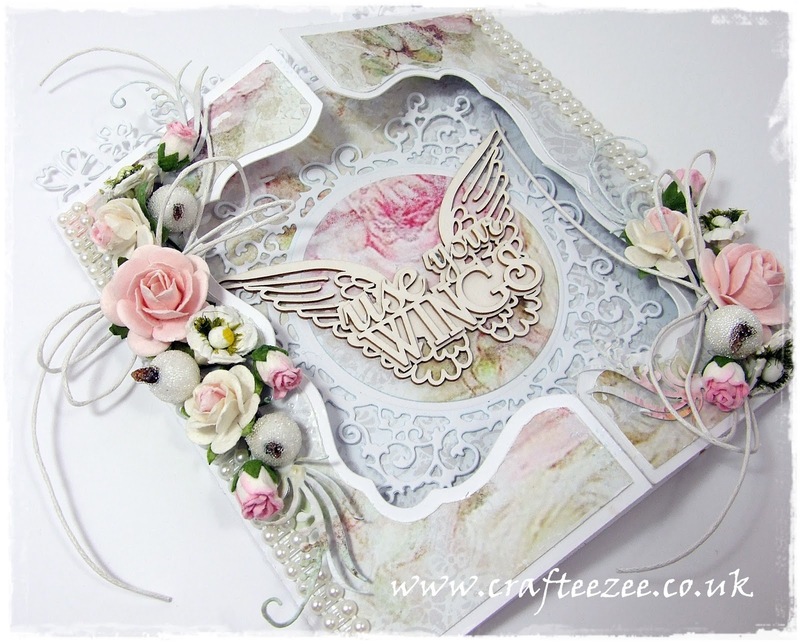 Tracy here sharing a card made for a magazine recently. I have used the Dutch Doobadoo Stencil Window for the shape and beautiful papers by Craft and You My Wedding. 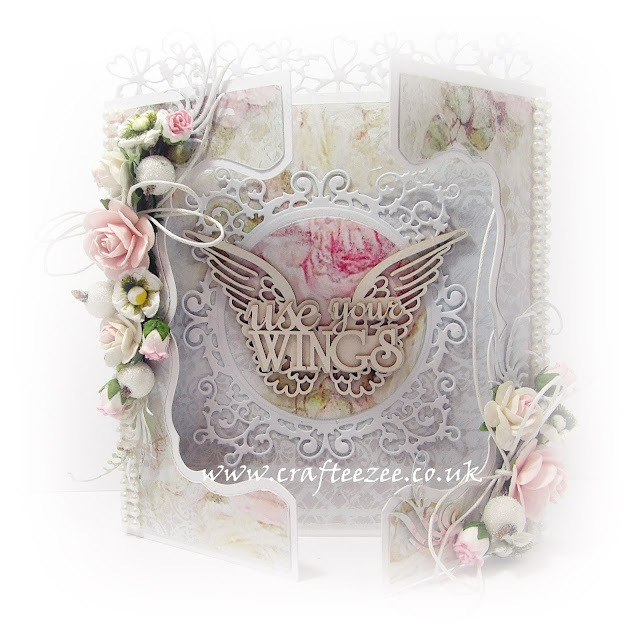 Dies used are both by Joycraft and taking centre stage is a Scrapiniec Use Your Wings text, isnt it beautiful. I have adorned with 25mm and 20mm open roses, poppies, pomegranates and rosebuds and finished with a wax cord bow and leaves cut from another Joyc raft die, links below. The card can close shut using small magnets also available in store. I added double row pearl trim to each side.